Responsible for overseeing SFA’s Corporate Compliance Program and Policies, Julie leads with the experience and knowledge of more than 20 years in the financial services industry. Prior to joining SFA, Julie was Senior Industry Consultant at Mainstay Capital Market Consultants, LLC, providing consulting services to registered investment advisors. Julie also served as Chief Compliance Officer of Advisory Services Network, LLC, an affiliated SEC-registered investment advisor for independent advisors. 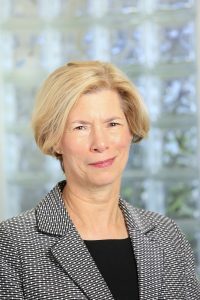 Previously, she has served as Chief Compliance Officer for FISCO Investment Management LP, an SEC-registered investment advisor which managed 3(c)1 and 3(c)7 private funds, as well as Vice President and Chief Compliance Officer of Old Mutual Financial Network Securities, Inc. ("OMFNS") in Atlanta, and the Assistant Vice President and Chief Compliance Officer-Securities for its affiliate, OM Financial life Insurance Company of Baltimore. Throughout her career, she has learned to appreciate both the entrepreneurial spirit of the independent financial professional, and the challenge of building and managing compliance programs to help guide that spirit without crushing it. Julie has passed the Series 7, Series 24 and Series 66 exams. She earned a BA in Psychology from Transylvania University in Lexington, KY, and undertook graduate studies in Developmental Psychology at Emory University in Atlanta. Julie has served on the Editorial Board of the Journal of Securities Law, Regulation & Compliance, and is a participant on industry panels.